Neverwhere might be read here as Australia, of course, and the works suggestive of how nations, identities and selved implied, infected and inferred. 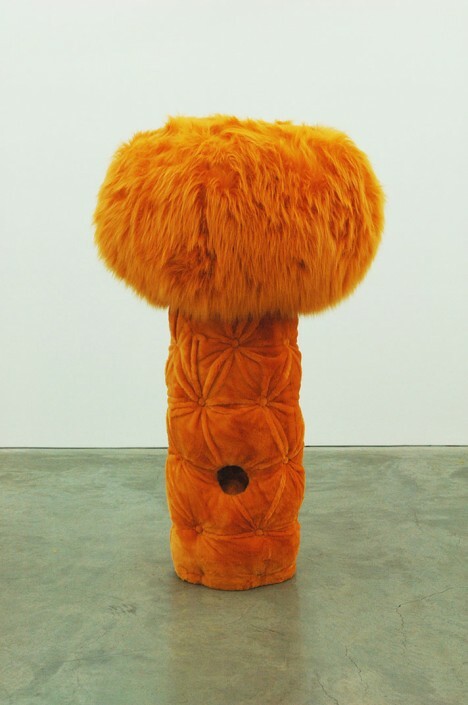 At the exhibition’s very outset, Kathy Temin’s Audition for a pair of Koalas (2004) sets up this proposition, while simultaneously complicating it. During a residency in New York, the artist advertised for American actors to attend auditions and impersonate a pair of koalas mating, which she then filmed. Most people that came to her auditions have not seen a koala in the flesh, of course, and brought to the work their own projections and fantasies about how a koala – and, by extension, -an Australian – might behave. Behaviour of marginal characters is highlighted in Captain Thunderbolt’s Sisters, a video Mikala Dwyer made with Justene Williams in 2010. 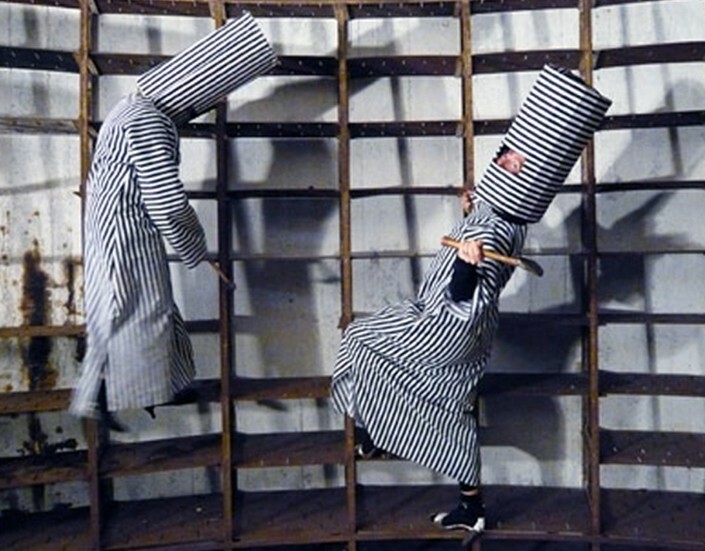 The two artists, dressed in striped prison outfits, bushranger helmets and high heels, clamber around a circular bunker on Sydney’s Cockatoo Island – the site of a former prison and reform school for errant girls. Either invoking, or possessed by, the dead girls’ spirits, the artist bash violently at the metal fixtures, citing Australia’s colonial history at the same time hammering societal boundaries. Such transgressive female agency is also evident in Miss Universal (2014). Claire Lambe’s recreation of a 1976 image from Crazy Horse (the infamous Parisian cabaret). In this work, Lambe selects Australian women with real body types, forces her subjects into clay shoes, impeding their movement but lending an air of absurdity to the scenario. Of course, it can be seen as a powerful statement to turn your back to the audience and these women seem determined to wrestle power back from the viewer. 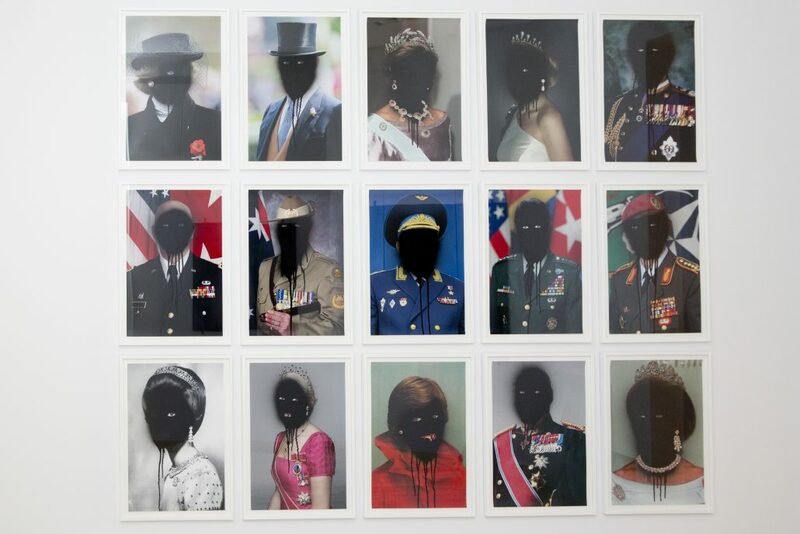 Power relations are clearly at work in Tony Garifalakis’ Mob Rule (2013), in which the artist has obscured the faces of national leaders and military figures with black spray paint, referencing his interest in forms of cencorship as both political and sn aesthetic gesture. 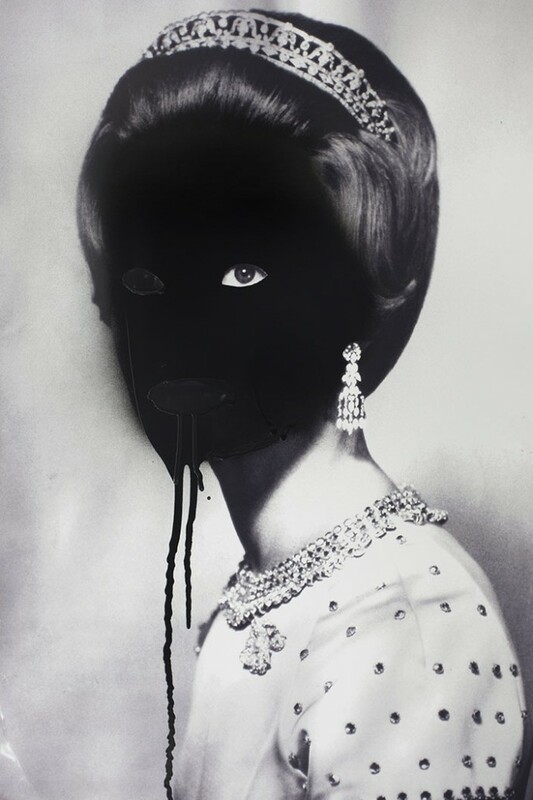 As with Lambe’s work, these images serve to draw attention to the ways in which power (both social and political) is signified and performed through popular culture and in our collective imagination. 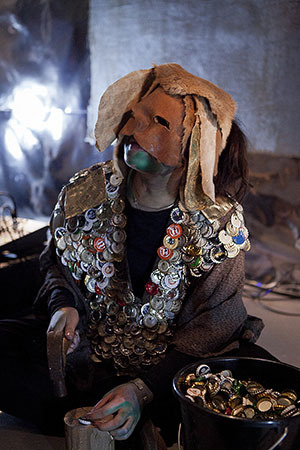 The urge to perform, or make things perform, is evident in each of the works in Neverwhere, but perhaps most explicitly in Clare Milledge’s Academic Suspicion: Staging a Hermeneutics of Incommensurability (2015). The artist invites active participants into the shadowy world she has created, which is full of motifs she has borrowed from tribal art, mythology and spiritualism among other sources. However, Milledge’s rituals seem to be invented by and only known to the artist and, as viewers, we are never quite sure what is celebrated. As in the worlds crafted by Mikala Dwyer, invisible psychic energy abounds. Play is important, too; in the works of Milledge and Dwyer but also in those by Veronica Kent and Lou Hubbard. But these are deeply unsettling forms of play; full of dark imaginings rather than innocent abandonments. Typifying this ambivalence is the figure of the clown; a keenly divisive figure, engendering fear and loathing, as much as it does laughter. The contradiction is tested by Kent in Clown Transfer #1 (2010) but also in Cloak (2011), in which a resting child is watched over by a maternal figure – presumably her mother but in fact a monstrous one-eyed character. The work conjures a complex relationship between mother and child, but also between subject and object. Performing and seeing are equally important in Hubbard’s Eye Ops (2013), for which the artist enacts a series of operations on confectionary eyeballs, examiming the dysfunctional eyes as an optometrist might, before performing the necessary corrections as a surgeon would. 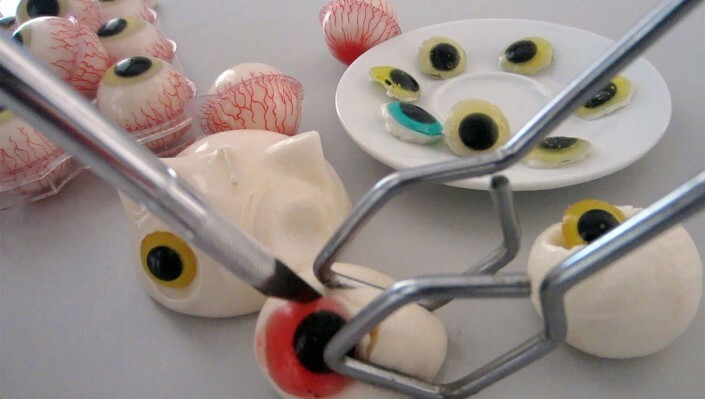 Though performed in deadly earnest, the world ultimately relies on absurdity to render the familiar so strange. As with much in Neverwhere, there is a continually shifting stance between sincerity and satire and a propensity towards darker psychological turns. Interested in uncovering the often-invisible histories of colonial societies, the artist’s work is deeply informed by his own mixed cultural background. 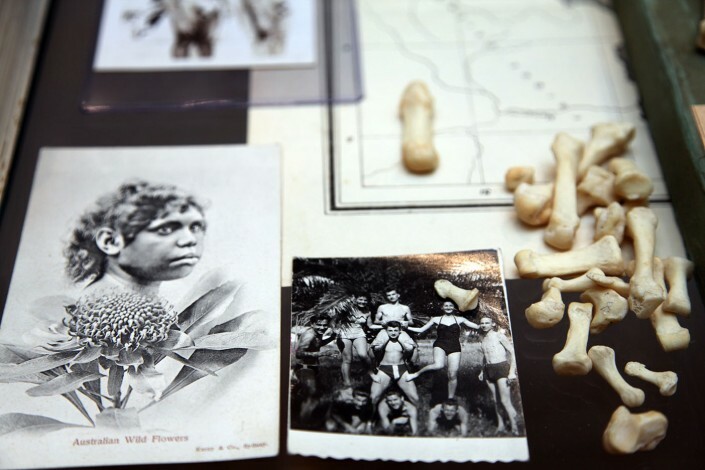 Andrew offers a wunderkammer filled with human bones alongside rare books, objects and ephemera relating to the legacy of colonization, fraught with strange juxtapositions that problematize any straight reading of the work. These new combinations, however, function as a personal exploration charged with new possibilities, stories and implications. Such merging of facts, fictions and fantasies runs rampant throughout the exhibition. 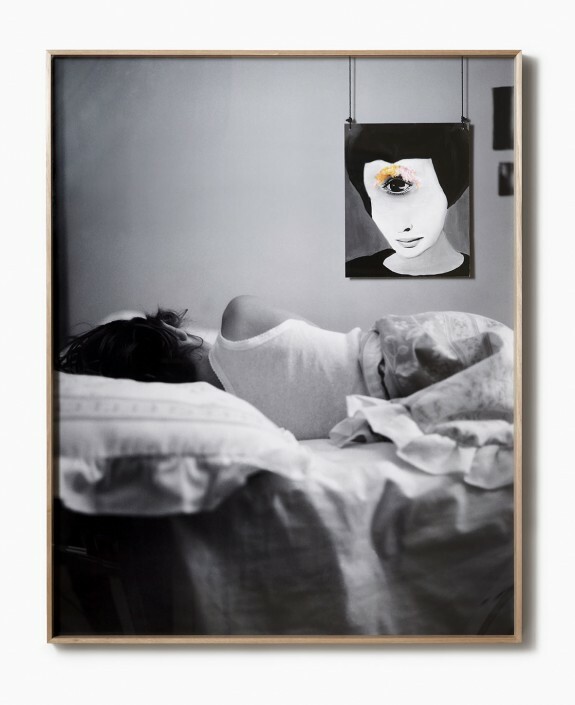 Works challenge given cultural and social perceptions and draw attention to the unseen and to our own personal relationships with memory and ritual. We are left suspended in a time and space of uncertainty and contemplation: some place and anytime. Neverwhere. Director of the Margaret Lawrance Gallery at the Victorian College of Arts, The University of Melbourne. *Neverwhere, the exhibition, takes its title from an urban fantasy novel and television series set in London Below, a magical realm that coexists with the familiar city of London (referred to as London Above.) London Below is a dark mysterious place, where talking rats and violent assasins run wild, and magic is slippery and capricious. The series who pronounced in The Guardian as ‘a creepy, funny and deeply odd gem’. (Neil Gaiman, Neverwhere, HarperCollins, 1996).